Yesterday, I attended the launch party for the Daughters of Soul at Maverick's Flat in Los Angeles. Founded by singer, Sandra St. Victor (The Family Stand), Daughters of Soul include daughters of six soul legends: Lalah Hathaway (Donny Hathaway), Lisa Simone (Nina Simone), Indira Khan (Chaka Khan), Kori Withers (Bill Withers), Syleena Johnson (Syl Johnson) and Sylvette “Phunne” Stone (The Family Stone’s Sly Stone and Cynthia Robinson). Sandra St. Victor founded Daughters of Soul in 2004 and had a European concert series. The last tour in 2007 featured St. Victor, Hathaway, Withers, Khan and Nona Hendryx. Previous lineups have included Joyce Kennedy (Mother’s Finest), Deniece Williams, Caron Wheeler (Soul II Soul) and Leah McCrae (daughter of George and Gwen McCrae). 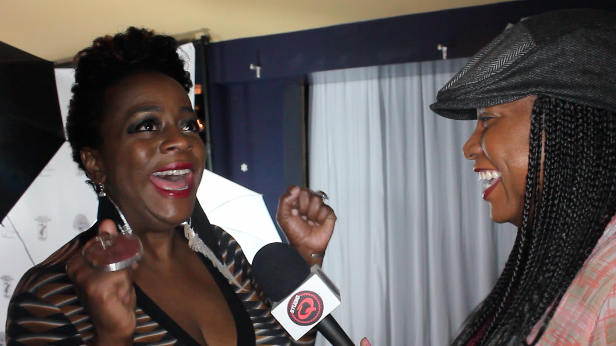 We got a chance to chat with Sandra, Chaka Khan, Indira Khan, Syleena Johnson, and Sylvette Stone. These ladies also performed to an intimate crowd and had everyone grooving with a jam session that also featured Lalah Hathaway, Lynne Linsey and many more.